Looking for a unique girl's birthday party theme idea? Then check out these cute and fun Slumber Party / Sleepover Party / Pajama Party Invitations! All announcements are printed on both sides, in full-color, with many paper stock and size choices. If you (and your kids) love Disney's movie "Frozen", then check out these beautiful and fun "Frozen" themed birthday party invitations, featuring your favorite characters, Elsa, Anna & Olaf! Here you can find many fun "baseball" themed kids birthday party invitations, your children will love! Choose from 10 different paper types and sizes! Celebrate the birthday of your little one with these cute and fun "Under the Sea" & "Mermaid" kids birthday party announcements. Easily add your photos and text to both sides of any of these designs, completely free of charge. Here you can find top 20 popular 1st birthday party announcements for girls. Cute lady birds, owls & forest animals. These are just some of the motifs featured on the easy to personalize card templates found below. Choose from one of these cute and fun, princess kids birthday party invitations and design a perfect birthday party announcement for your little girl! 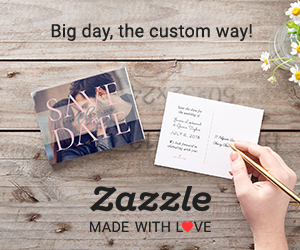 You can add your photos and text to any of these cards, easily and free of charge!